What Starts Here Will Revolutionize Your Business. At Cascade Controls, we design and manufacture control systems that activate and electrify any electrical system. We can power, sense, move, and report any piece of equipment across a broad range of industries and applications. Rightsize Your Business For Results. All innovation starts with an idea. At Cascade Controls, we help innovators transform their ideas into reality. From concept and prototyping to end-to-end manufacturing solutions, we work as a fully integrated extension of your team. We take OEM partnership to a completely new level of innovation, quality, and performance. We make stuff for the people who make stuff. Partner with Cascade Controls for complete product lifecycle success or at any point along the way. We promise our best brain cells on every project you bring us. We provide the agility, innovation, and flexibility you need in every step of the process. Imperial Brown, Inc. is a leading manufacturer of industrial temperature controlled storage and walk-in coolers for the food industry, pharmaceutical companies, and the military. This unique business requires stringent design requirements in order to accommodate a sliding door for use with forklifts. Out of this specific business need in 2004, the long-term relationship between Imperial Brown, Inc. and Cascade Controls was born and continues to thrive today. SASE once supplied machine equipment for the construction and flooring industries. Over time, they decided to manufacture their own line of products instead. Since first partnering with Cascade Controls over ten years ago, SASE has fully achieved their business goal of becoming an industry leader. The partnership has made it possible for them to create their own baseline products and set industry standards. How Can Cascade Controls Help Your Company? I have been involved in the majority of the designs for our HTG Division. It amazes me to see iterations of the designs we were involved with originally still being implemented in these assemblies that our manufacturing team is building today. Working at Cascade is a pleasure! I enjoy working for an organization that is capable of scaling along with our clients. 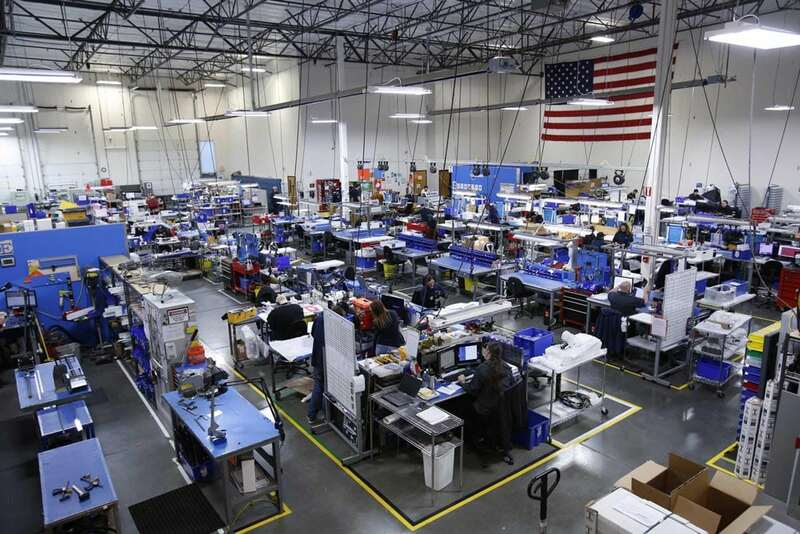 We partner with clients on one-off jobs as well as highly visible global OEM programs. I'm proud of our engineering and manufacturing capabilities and confident that we can compete with the best in the industry. Our management team provides the leadership and business acumen that appeals to new and existing clients alike. The thing I enjoy most about my job with CCI is that I get to come to work every day and work with a team of passionate individuals. The team takes great pride in what they do in order to support our customers’ needs. This builds an environment that really encourages me to grow as a professional and to continuously develop new skill sets. Working at Cascade Controls was my first job, and I’ve learned so much over the years I have worked here. I enjoy the family-like environment of the company and am proud to work here. I love the work that I do at Cascade Controls. We get to take people’s dreams and turn them into reality. My job at Cascade allows me to take a pile of electrical parts and breathe life into them; it’s really fun and I couldn’t imagine myself doing anything else. I am surrounded by like-minded people who take pride in what they do... and are great at it! We are an amazing team. There is no dream too big or no job too small. In my career at CCI, I have seen continuous improvements and developments that have evolved into a solid foundation on which we continue to build. I am proud of the services and products that we provide. I like the feeling of providing excellence to our clients. The best part of my day at Cascade Controls is working with all of the coworkers that I interact with. I enjoy the collaborative problem solving that we do as a team on a daily basis. I really appreciate that Cascade Controls has given me the opportunity to grow my skill set in my years with the company. The education, experience, and mentorship I have received here have been great. I have always appreciated the family-like atmosphere mixed with the get-it-done attitude required to grow and adapt with our industry. As our clients adapt, I enjoy the challenge of working with our team to meet design requirements, cost considerations, and production need.